WILDER, Idaho — Eight years ago, the principal of Idaho’s Wilder Elementary School, Jeff Dillon, made a tough decision: He pulled his children out of the district high school to send them to private school. “I took a beating for that,” Dillon admitted, but added it was the right choice because the school was doing a poor job meeting the needs of students. Fast forward to today. 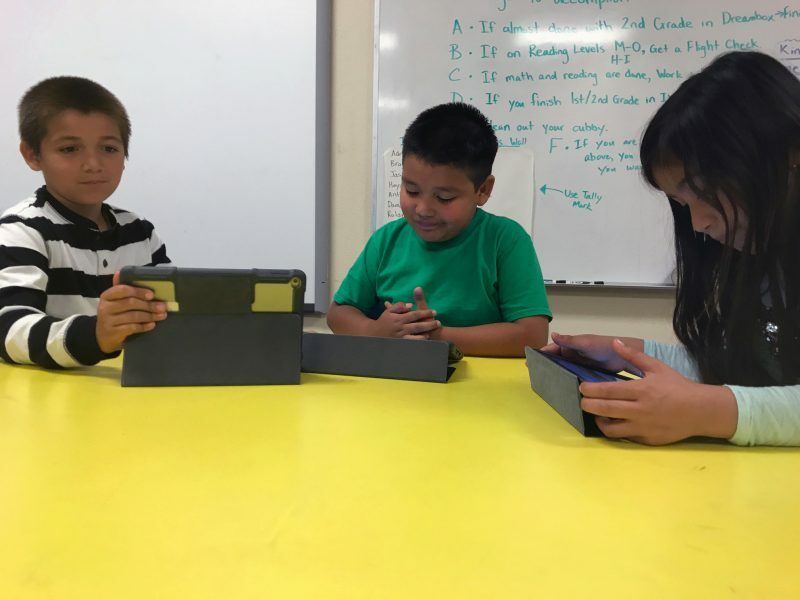 Dillon, now the district’s superintendent (and still its elementary school principal) just wrapped up the first year of a personalized learning program that gives students in all grades an iPad and the ability to master work at their own pace. What’s the reaction? “My kids begged me to come to summer school,” said Chantelle Mullins, a mother of two elementary school students. More than half of the learners — 58 percent — in the 270-student elementary school are involved in summer learning programs; about 20 percent of kids at the combined middle/high school are continuing to study in the summer. “I keep thinking, ‘Is this real?’” Dillon said. Wilder is part of a new national trend to customize learning to each child. But the tiny district of just under 500 students is taking the idea to the extreme. Located about 40 miles west of Boise, Wilder has erased grade levels and been awarded a state waiver to avoid seat-time requirements (meaning a student does not need to prove she spent x number of hours learning algebra, for instance). Other schools around the country are starting to take notice — and schedule visits. 13 school days — Amount of learning time students gain by eliminating the inefficiencies that come with changing classes frequently, according to Tim Jensen, principal of the Wilder middle/high school. The district is just a year into the program, and there have been a few hiccups: Changes this dramatic don’t occur without some problems. Managing screen time for students remains a concern, school officials say. Because children control the pace of their learning, procrastination, especially at the high school level, is an issue. Without a need to change classes, some high schoolers spend the bulk of each day in the corner of one room swiping at their tablets, while others have asked teachers if they can take a break from working on their iPads. Still, as the district awaits its first-year test scores, teachers and students feel they are on the edge of education’s biggest trend: allowing students to control the pace and place of their learning. Related: Must a classroom be high-tech for personalized learning to work? “It’s a very strong trend,” said Daniel A. Domenech, the executive director of the American Association of School Administrators. The association has a personalized learning group that visits school sites across the country as the superintendents — including Dillon — trade ideas about the learning philosophy “It’s a significant departure from having a teacher lecturing and teaching the same thing at the same time,” he added. Wilder is new to personalized learning, but a handful of other districts around the country have been doing a version of it for years. A Kentucky superintendent, Roger Cook, said he wasn’t thinking about personalized learning when he started to let students have more control over their studies 12 years ago; he was just trying to keep them from dropping out of his Taylor County School District. Now, there are fifth graders in the district taking high school algebra for credit. “If you can handle Algebra I, you can take it,” he said. He added some students complete their high school requirements by the middle of sophomore year. And while Taylor County and Wilder are both rural districts, the trend is happening in urban areas as well. 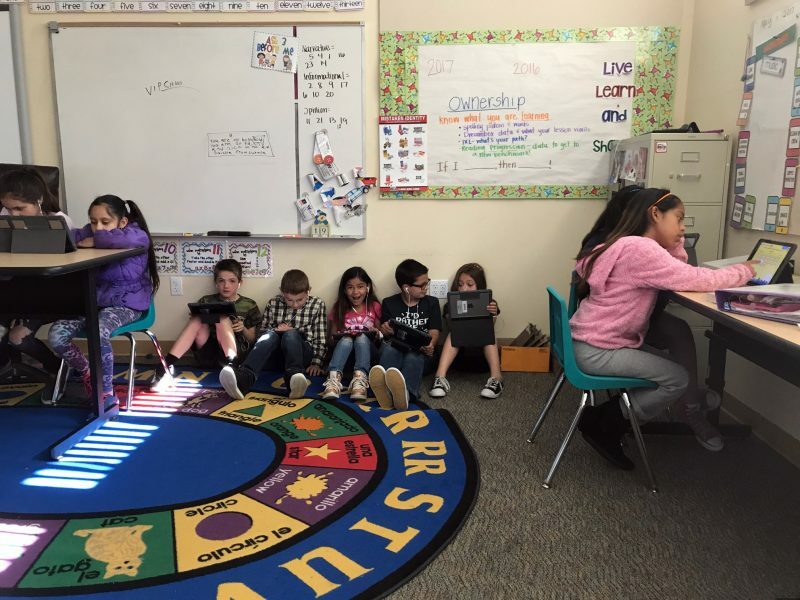 Dysart Unified School District, near Phoenix, Arizona, with more than 24,000 students, and Charlotte-Mecklenburg Schools in North Carolina, with 147,000 students, are both using personalized learning. Kenneth Grover created Innovations Early College High School in Salt Lake City five years ago; the school is now a beacon for school leaders hoping to study this model in action. Grover also coaches about 20 districts in Arkansas and Oklahoma trying to make similar changes. Asked why districts are becoming more willing to try personalized learning, Grover said having more examples is putting administrators at ease. “The fear is starting to subside.” Last year, Wilder gave its teachers a preview of the learning philosophy in action, sending all the district’s middle and high school teachers to visit Innovations. There’s no cookie-cutter model for personalized learning. Dysart’s superintendent, Gail Pletnick, said the way kids in her district learn depends on how the school and its personnel implement the philosophy. Typically, personalized learning allows students to control the pace and the location of their learning, and lets them incorporate their interests into their work. But freedom can have its costs. Allowing children to choose the pace of their learning means high school students often choose to work on one course exclusively for several weeks before moving onto another subject. At Wilder, stories of students who were scrambling to catch up in subjects they had neglected bounced through the hallways during the last week of school. Freshman Norman Gonzalez said he delayed starting on math until too late in the year. Because he needed a teacher’s help to work through the material, he planned to attend several days of summer school to finish the course. Another student admits she started the year by doing work in her “fun classes” and fell behind in other subjects. When her parents took away her phone, she started working harder and caught up. And that responsibility is exactly the point, said Tim Jensen, principal of Wilder’s middle/high school. 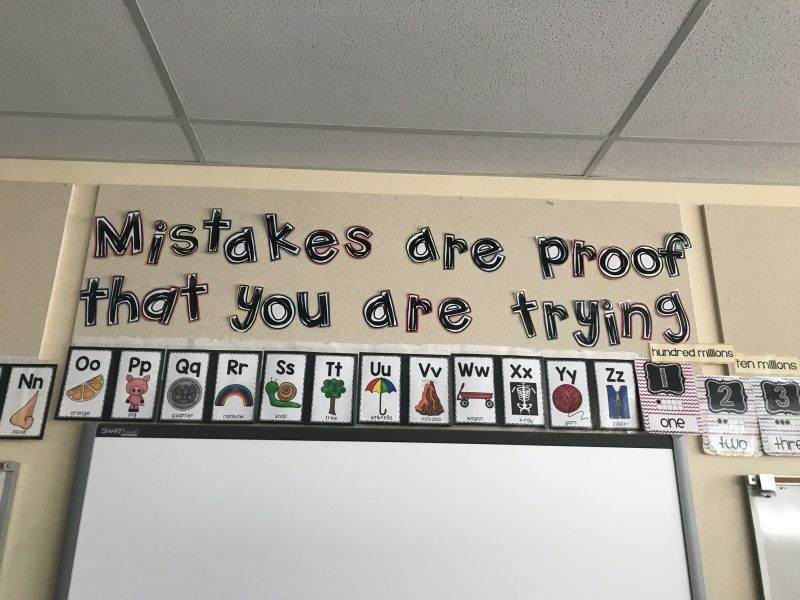 “I told kids this year: ‘You’re going to have to work at failing.’” When they were confused, he explained that they wouldn’t be able to hide in the back of the classroom any more, just marking time. They would be responsible for their own progress. But what if the pace of some students is too slow to enable them to graduate on time? Wilder’s Jensen says some hidden time savings allow students extra time to complete their work, if needed. The principal estimates that, by eschewing a traditional class schedule, Wilder has added 13 days’ worth of learning time to the school year. In the old system, he said, the last five minutes of each class, the time to switch classes and the first five minutes of the next period were wasted. Freshman Gonzalez agreed. “With the bell schedule, everyone would look at the clock and wait for class to end,” he said. A Wilder parent, Gary Mullins, said his third-grade son, who has attention-deficit/hyperactivity disorder, was able to go from F’s to A’s when allowed to learn at his own pace. Wilder’s version of personalized learning means no more lesson plans and no homework, two key changes that helped teachers pivot their jobs from dispensing information to mentoring students. Third-grade teacher Stephanie Bauer said she is able to grade writing samples as children complete them. “There’s real-time gratification,” she said. In most elementary classrooms at Wilder, kids work wherever they are comfortable, huddling together in corners, the hallway, or — in one classroom — in a tent that served as a special reading spot. Kids are quick to run up to Dillon when he wanders into their classroom, showing him the work they’ve completed, both on their iPads and using more traditional school tools like markers and poster board. Dillon was upfront about why the district made the switch to a more personalized system, in which students don’t advance until they master a subject.” “What we were doing wasn’t working,” he said. In math, only 3.4 percent of Wilder middle school/high school students were proficient in 2015-16, compared to about 37 percent statewide. In English, 27 percent of the school’s students were proficient, compared to roughly 55 percent statewide. Because of a successful tax levy, Wilder spends roughly $7,900 per kid, about $1,500 more than Idaho’s average. Three of every four students in the district are Hispanic; more than nine out of every 10 students qualify for free or reduced-price lunch. 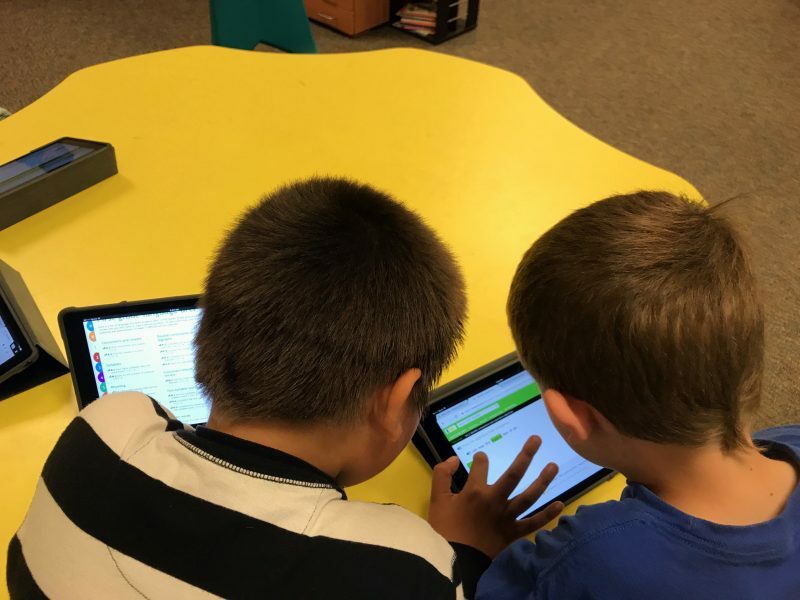 When Dillon started thinking about bringing personalized learning to his corner of Idaho, he said, “Everything about it was a no-brainer.” While the program officially rolled out this year, Wilder spent years planning for the conversion. Through the federal ConnectED program, which aims to increase technology and connectivity for schools nationwide, the district received free iPads for all students, commercial-grade internet connection, and 17 teacher-training days with Apple instructors. The training showed teachers how to use the tablets to promote active learning. Because so many children don’t have internet access at home, a telecommunications company donated three years of free internet for all student families, allowing kids to use their iPads at home. “We needed something to meet the daily needs of our kids,” Dillon said. In addition to personalized learning, Wilder uses mastery-based learning, in which students must achieve 80 percent proficiency in one area of study before moving on. Children are also taught the “16 Habits of Mind,” a set of behaviors that encourage persistence and critical thinking. Students earn badges by exhibiting behaviors that match these 16 habits. Chantelle Mullins, who works as an aide in the elementary school, said this work has helped change students’ vocabulary. “They ask for support now, instead of saying, ‘I can’t do this,’” she said. The state test scores from the recently completed school year won’t be released until September, so it’s hard to say if the changes are paying off. Dillon says he does see some definite signs of progress: Elementary students are showing nearly 1.5 years of growth in the last year, and preliminary test results show elementary learners have made a 10 percent gain in the last three years. The middle school preliminary test results are “terrible” Dillon admitted, but all but one teacher at that school was new to Wilder this year. There’s one other positive factor: While about 100 Wilder children still attend school outside the district, Dillon said some people who don’t live in Wilder, including teachers, are now sending their children to the town’s schools.